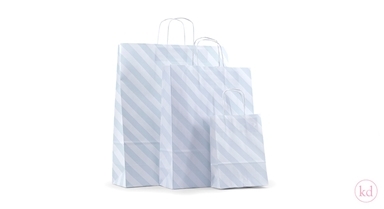 We know how beloved our toptwisted paperbags are. 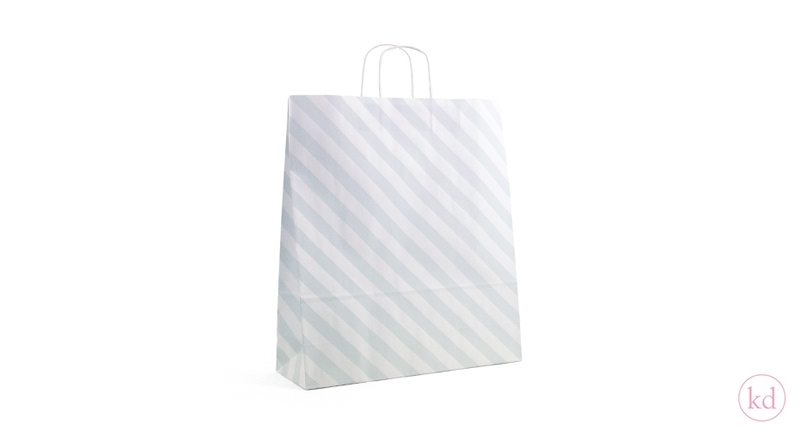 That’s why we choose to make them with this lovely new striped design. At this moment, they are available in 2 pretty colours: Powder Blue and Neon Orange . 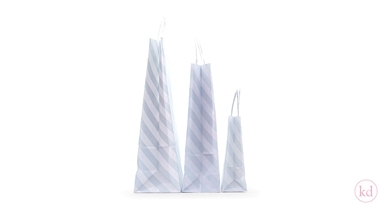 You can get them in 3 sizes: Large – 44x15x49,5 cm. Medium – 32x12x41 cm. Small – 18x8x24 cm. They are packed by 150 pcs.